Picture this: You climb out of bed to the smell of coffee and the sound of a kettle boiling in the kitchen. 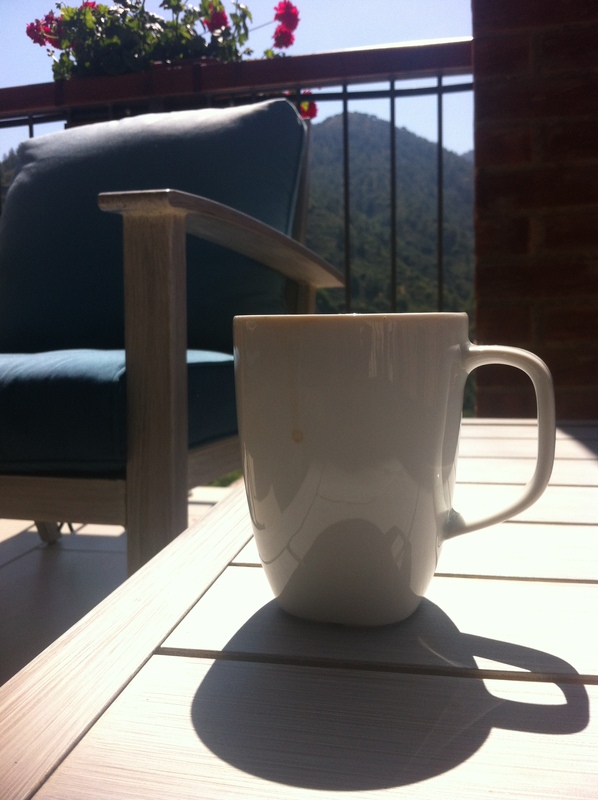 After pouring yourself a cup, you walk barefoot onto your private deck overlooking the mountains. The sun is gold and casts gliding shadows across the mountain range. Dew glistens on bright pink flower petals. 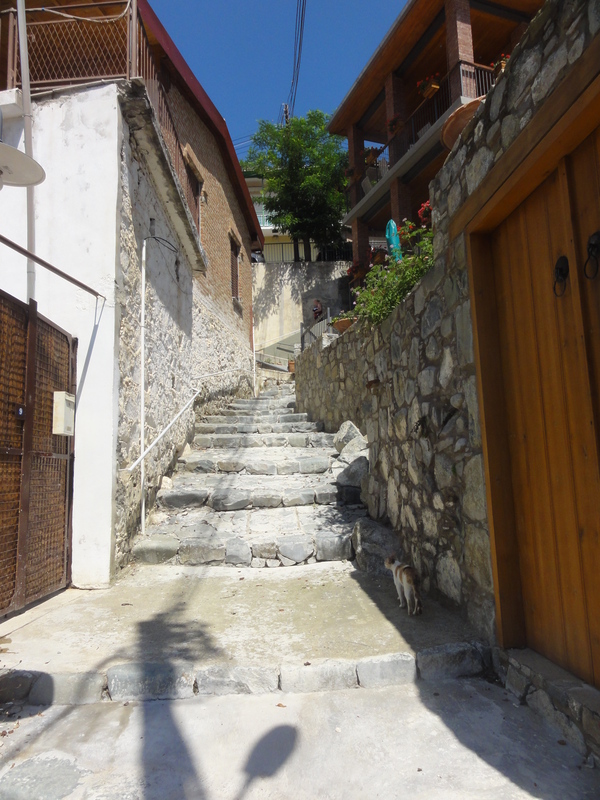 A man carries a basket of cherries down the stone steps into town. Birds are chirping. 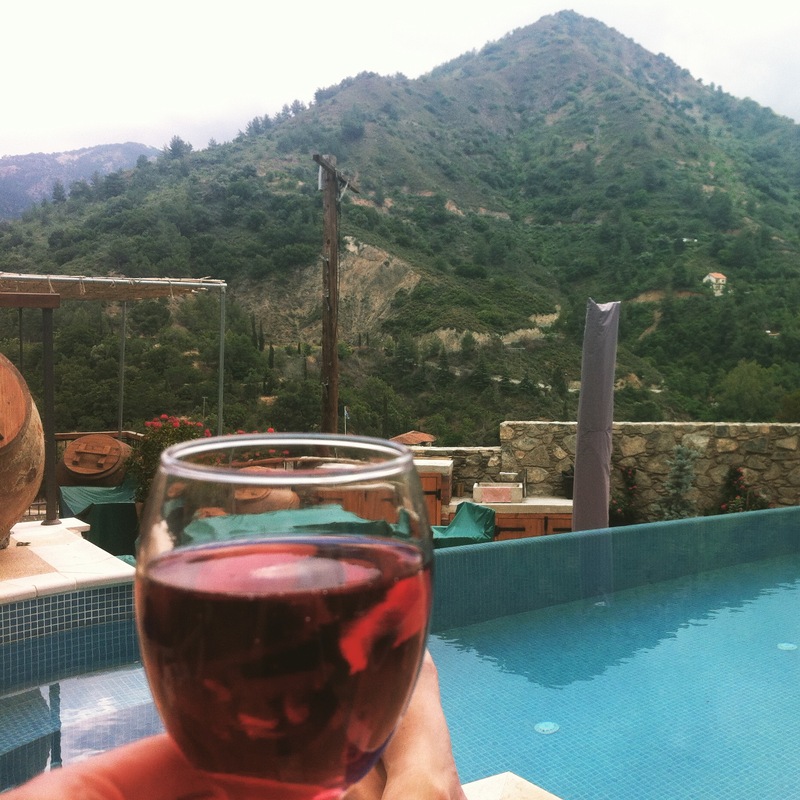 If you’ve never woken up to this, you need to head to Kalopanayiotis now and book accommodation at Vasilikis House. This is how I spent both mornings in the mountain village, with Myles smoking a cigarette across from me and the world waking up all around. On our first morning in town, we climbed all the way down into town to discover that, yet again, we’d missed breakfast. Louis, the manager from the night before, escorted us to a seat anyway. “Let me see what I can find for you,” he told us, disappearing into the restaurant. 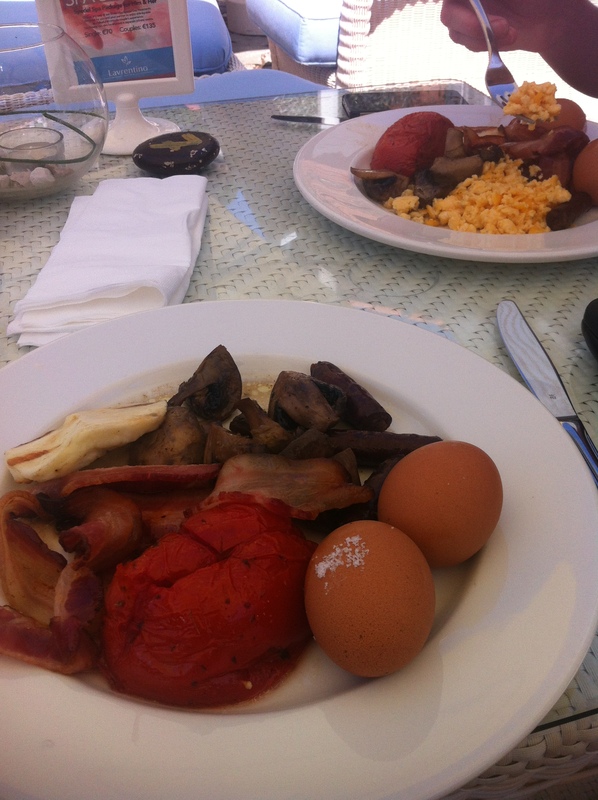 He returned with two plates heaving with breakfast food: sausages, eggs, tomatoes, bread, and beans. “I know what it’s like to be hungry,” he said with a shrug, and left us to it. 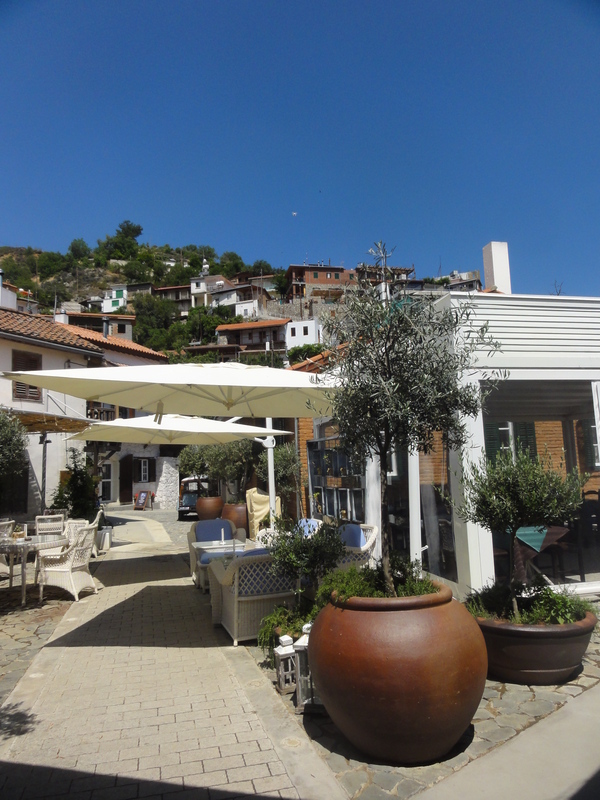 Two coffees arrived shortly after, and we watched the sleepy town slowly come alive. 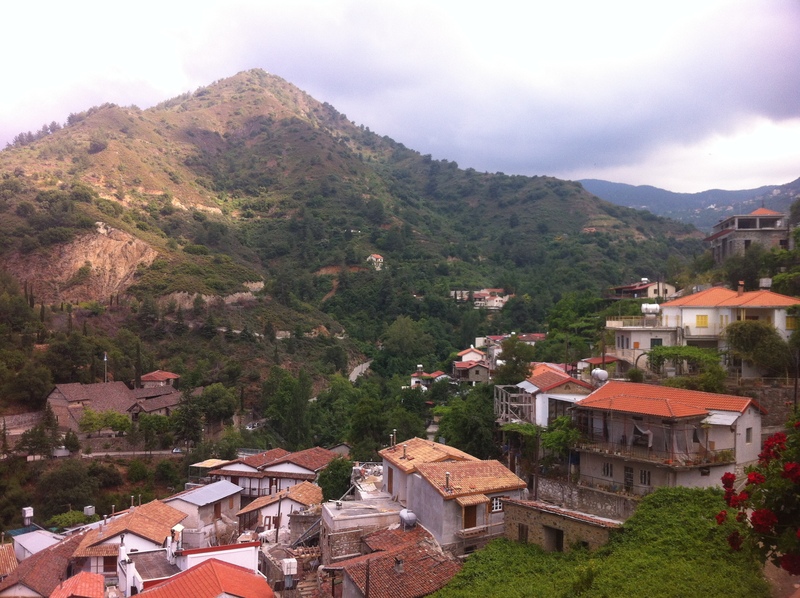 Kalopanayiotis is a small village; as of 2001, its population totals a quiet 287. In terms of our own vacation, it was the opposite of Ayia Napa. Whereas we were too old for Ayia Napa, we were noticeably young for Kalopanayiotis. The most obvious example of this was when we discovered an elevator from town back up to where we were staying and, when it arrived, we stood back to allow a throng of elderly tourists out. No matter. As we sipped our coffee and watched a weighty bumble bee stagger blindly into the awning above us, we felt as if we were in exactly the right place. Laura soon joined us and we debated the day’s plans. Should we search for the monastery? Go for a hike? Drive out of town to see the sulfur springs? Get a treatment at the spa? In the end, we opted for the nearby spa. As we followed the steps down even further, Laura commented on the hospitality of the restaurant manager. “That’s so nice of him to just give you guys breakfast,” she told us. “He is really nice. And he has the same last name as a woman I work with in Egypt,” I said. “Maybe they’re related?” Myles suggested, but I shook my head. We reached the spa and made appointments for mud massages. The better part of the afternoon was spent sweating in the sauna or being slathered with mud from the sulfur springs before showering off and having a proper massage with oils. Afterward, oscillating between sleep and wakefulness, I reclined in a chair and sipped ice water saturated with lemon and lime. If I’d felt relaxed in the Mediterranean the day before, I was halfway to Nirvana today. When we exited the spa with hopes of lounging by our pool with wine spritzers, we found that the sun had vanished behind a particularly vast and plump cloud. A few raindrops fell on my nose. 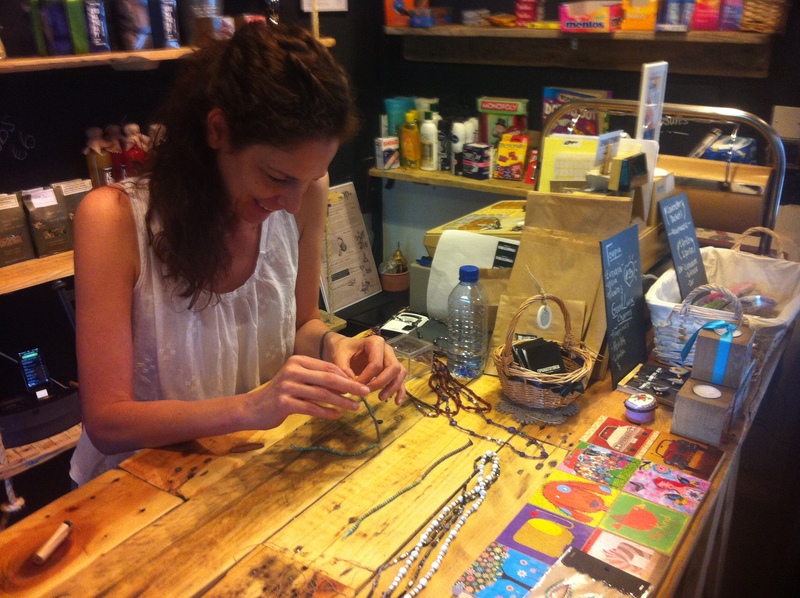 We ducked into a small shop across from the spa, where a smiling woman sat making ankle bracelets. The entire shop was filled with little kitschy items like lip balm and homemade jewelry, pillow cases, and frames. 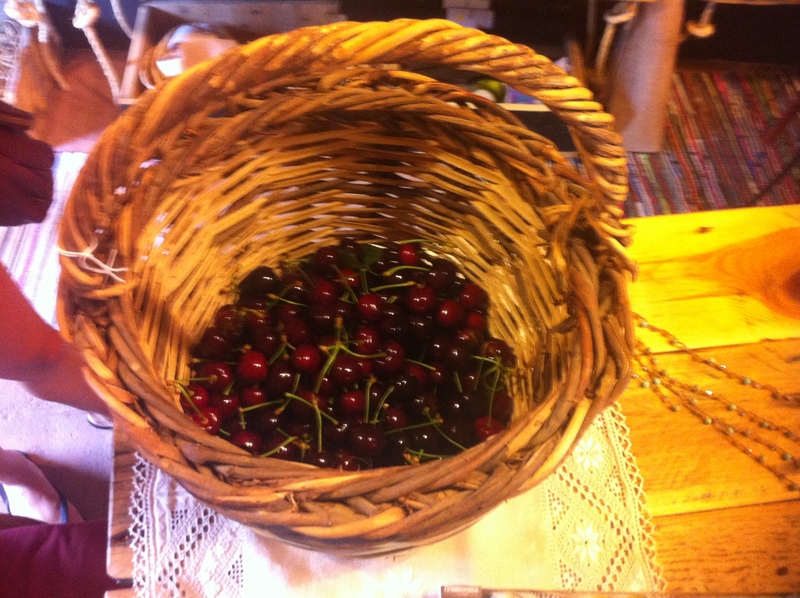 On the desk stood the basket of cherries we’d seen earlier that morning. We stood out on a small balcony off the side of the store and ate cherries in the rain, flinging the pits into the trees below. After some perusing, we left with bags of goods and returned to our pool where, despite the clouds and chill, we spent the day outside drinking wine spritzers with sparkling water because that’s all they had at the convenience store across the street. I know, people come to the mountains for Cyprus’ hidden monasteries and rock churches, and I hadn’t been in a monastery – had I? – but I also hadn’t been in an infinity pool, so it seemed justified. Louis came over with a second bottle of red wine and asked us when we were leaving and where we were headed. 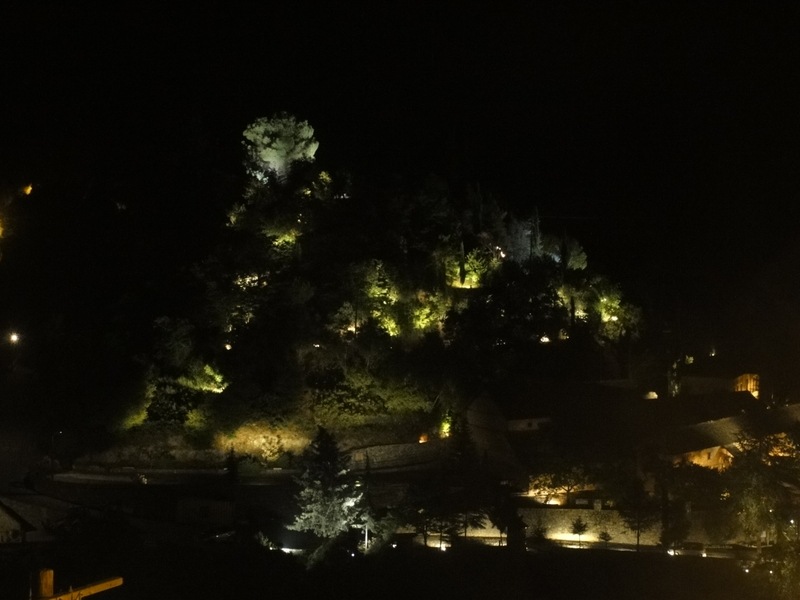 I’m not sure if you can really appreciate the incredulity and excitement that comes with meeting someone – who is from England, mind you – in a remote Cyprus mountain village of 287 whose sister works with you at one of Cairo’s many international schools. I practically flew out of my seat to take a picture with him. This merited another bottle of wine. By the time the three of us were done talking – about small ol’ Earth, family, childhood, boyfriends – it was near 11 and the restaurant was empty. I feel like these nights only happen every so often on trips, yet here we were, night number 3, still brimming with conversation. It felt a little sad knowing that we were leaving the next day, but some white wine on our balcony and watching the moon come up at 11:30 at night felt like the perfect end to the trip.